Contemporary thought in and through performance has sometimes figured the theatre as its discarded other, a past which it has happily outgrown, or a parent it has effectively disowned. What might contemporary performance owe to the theatre? 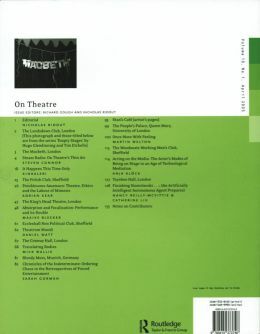 Is there a thinking peculiar to the theatre - a thinking perhaps enmeshed in problems of representation - that offers something of value to theorists and practitioners today? Is there anything lying around in the field opened up by the practices and study of performance that might be seen or understood differently if thought through theatre? 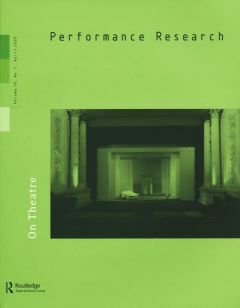 On Theatre aims to explore all that might be considered productive in the encounter between the institutions and practices of theatre and the discourses and challenges of performance.